If you want to access videos from other countries or you do not want people to see what you are downloading and viewing, the best way is to install a VPN on your Amazon Fire TV. VPN allows you to unblock video content of other countries. Amazon Fire TV is already quite popular for watching Amazon, Netflix, BBC iPlayer or other streaming services so it is the turn of VPN providers to make apps available. IPVanish VPN is the most preferred choice for Fire TV as it is specifically designed for it besides being the fastest VPN in the world for streaming large HD video files. IPVanish launched in 2017 provides apps used for Windows, Android, iOS, Mac and Linux. Here’s how to get the best loot in the division by following the VPN setup steps. 1. The first step is to 'Register' for an 'IPVanish' account. 2. Type ‘IPVanish’ on the search icon of the Fire TV and then click on the ‘IPVanish VPN’ that is seen on the screen. 3. Click on the ‘Download’ Button. 4. Click on ‘Open’ for launching the IPVanish app. 5. Click on ‘Login’ after typing the IPVanish ‘Username’ and ‘Password’. 6. Now click on the ‘Connect’ button. 7. 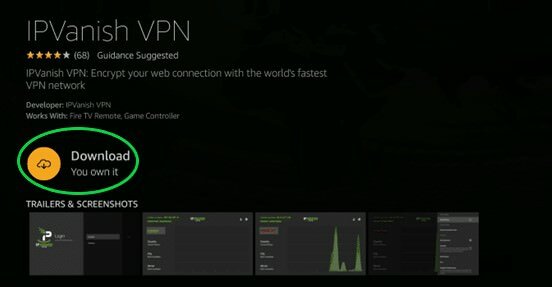 Click on ‘OK’ when you get a request for a VPN connection. Other VPN services can also be used with Fire TV but a little extra work is required. The Android .apk file straight from the provider’s website can be sideloaded onto your Fire TV. You need to search for the Downloader app to download the .apk file. The rest of the procedure is the same as already mentioned above like launching the app, signing all the details, creating an account and so on. You can even use a virtual router or a VPN router if your VPN service does not have an Android app. To set up a router all instructions given by the VPN service provider should be followed. But there is one demerit all your devices connected to the internet via the router will use the same VPN connection unless your router specifies specific devices that will be using the VPN. Free Fire TV VPNs are also available but their download speed is very slow. Moreover, these free services can also sell your data to a third person that nullifies the very reason of getting a VPN. 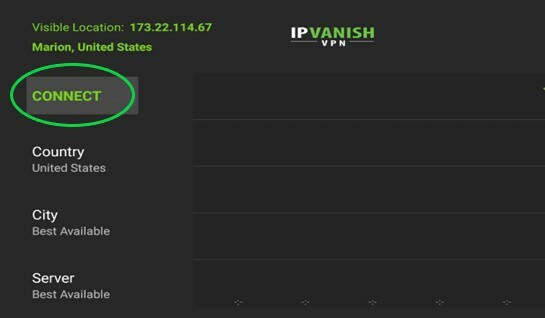 Always go for a VPN service like IPVanish that is sure to protect your privacy and identity.